This week our homeschool club decided to go for a nature walk and feed the birds. 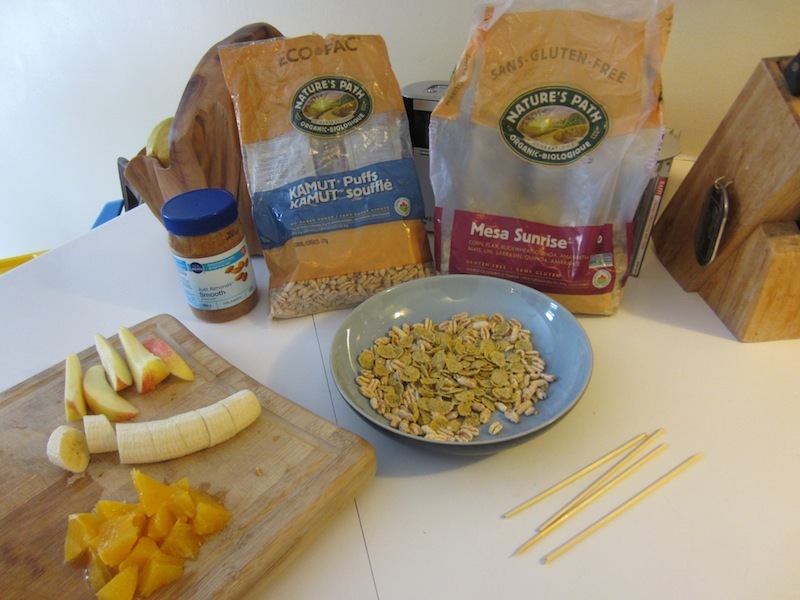 The day before the walk we made three different types of bird snacks to hang on the trees along the nature trail. One with bread; one with peanut butter; and one with oranges. 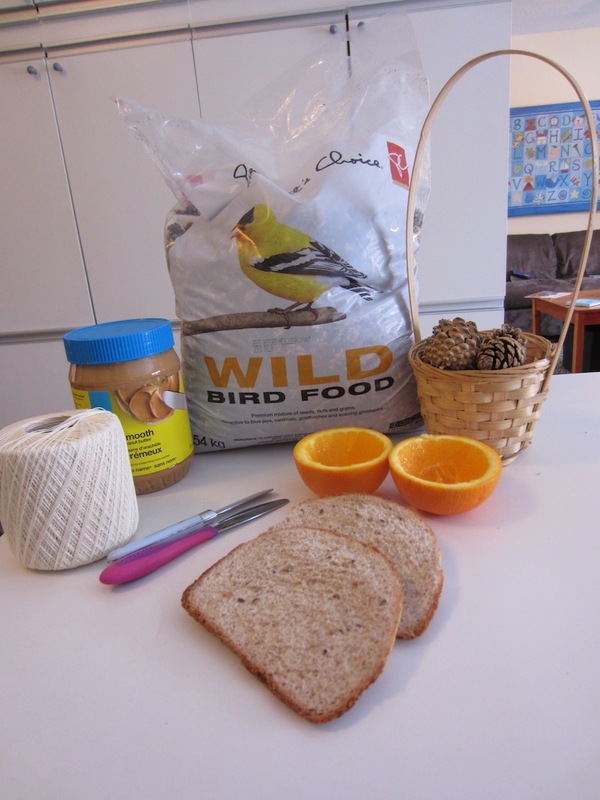 As we prepared the snacks for the birds the children wanted to have their own snacks with peanut butter and oranges. 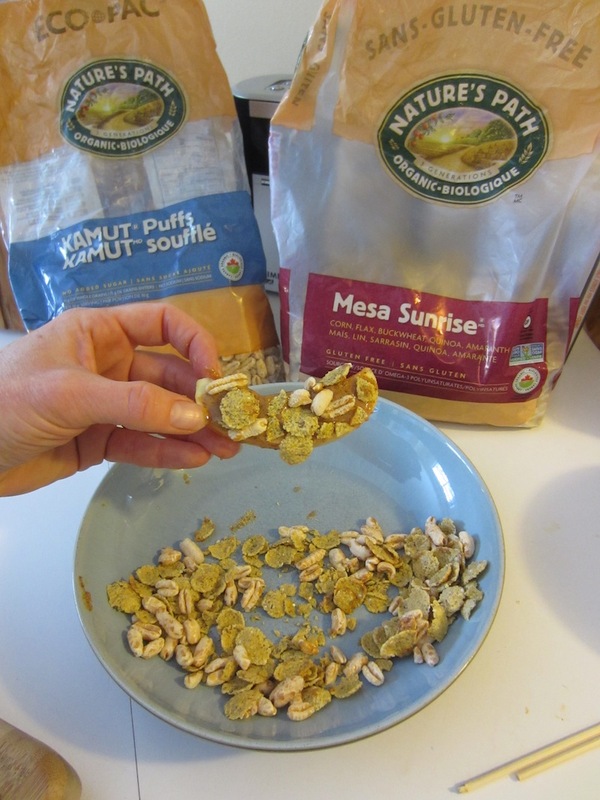 I traded the bird seed for cereal and made a human version of the bird snacks. 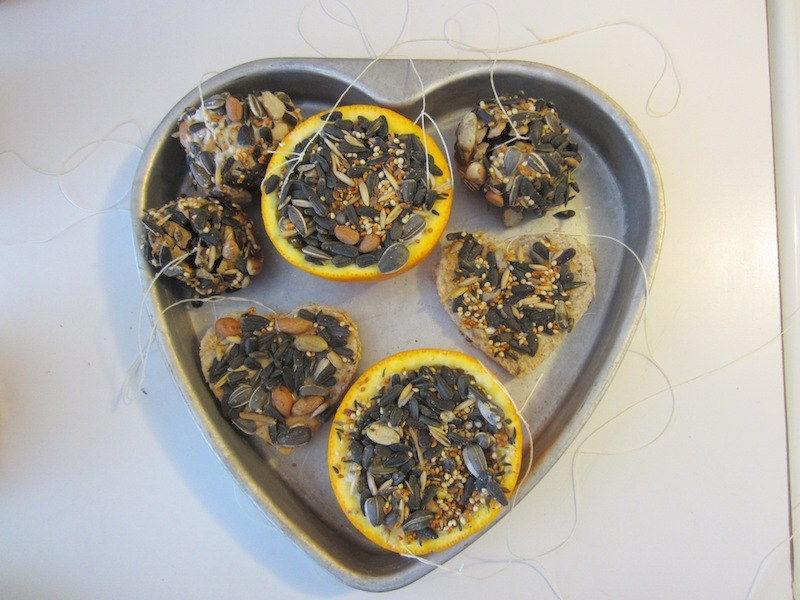 The children loved the idea and pretended to be birds and squirrels as they munched on their snacks. Snack #1. Tie a piece of string around a pinecone. 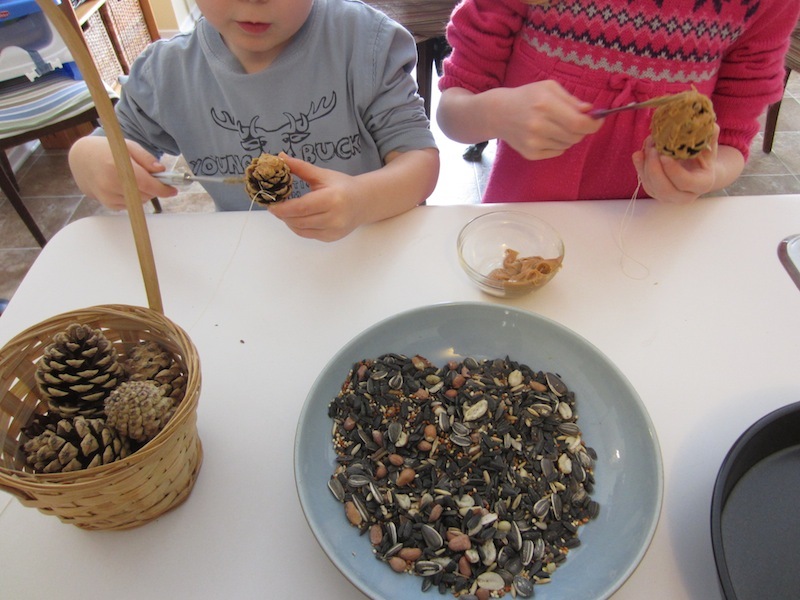 Spread peanut butter over the pinecone and then roll it in bird seed. Snack #2. Use a cookie cutter to cut out a shape in stale bread. Make a small hole and tie a loop of string on the bread. Spread honey on the bread and sprinkle bird seed on it. Snack #3. Cut an orange in half. Hollow out the orange to create a bowl. 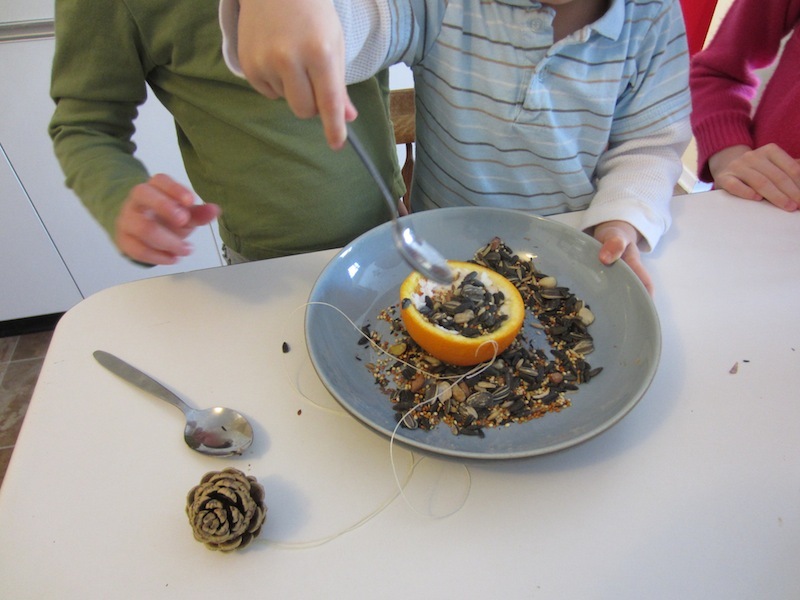 Poke two holes and tie a string through the orange. Coat with peanut butter. Fill with bird seed. Cut up banana and apple slices. Spread with peanut butter (we like almond butter). Roll slices in a bowl of your cereal of choice. 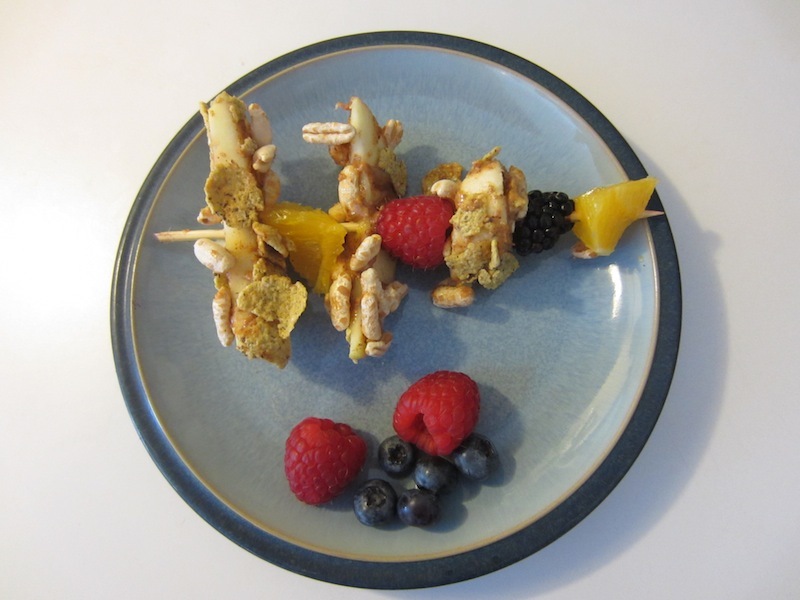 Spear onto a wooden skewer with other fruit. Enjoy! 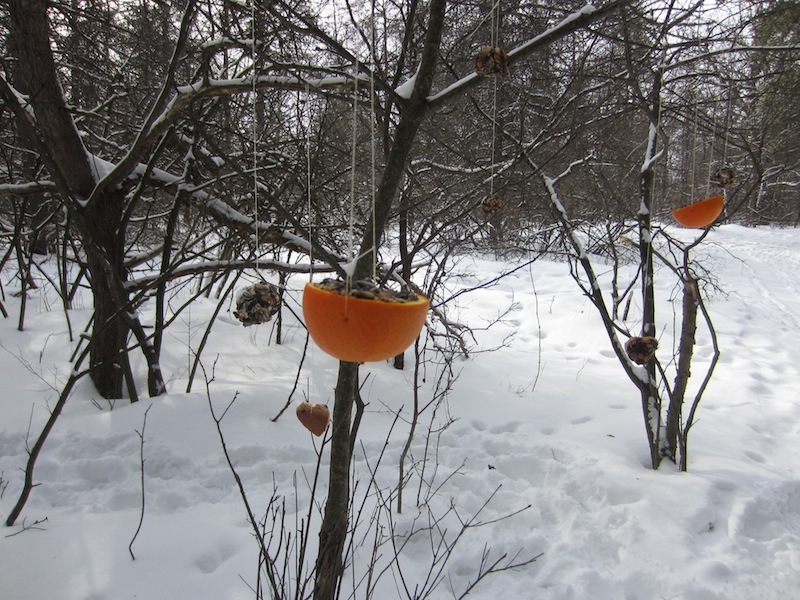 It was a wonderful sight to see the trees decorated with our bird snacks. Hiking in the woods and observing the animals was a great way to connect with nature. The children watched wide eyed as the birds landed on their mittens and ate out of their hands. It was a rewarding experience and one that will stick in their memory. They still talk about the deer we fed in the forest last fall. 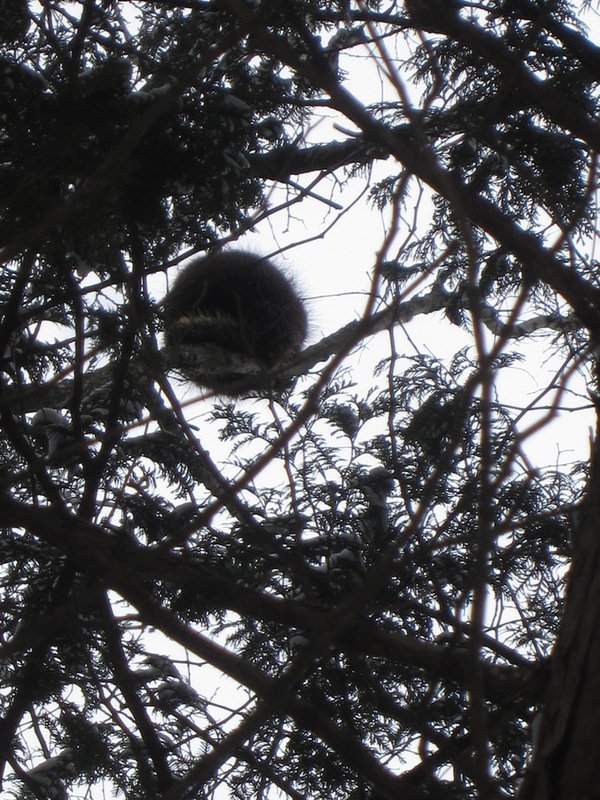 One child spotted a porcupine curled up in the tree tops! 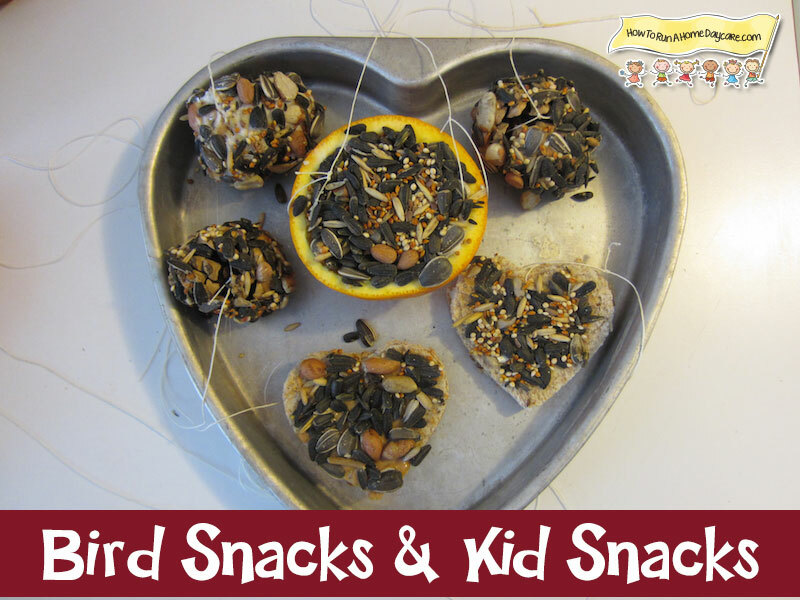 If you are looking for more great treats for your woodland friends, please check out this fantastic post by Rockabye Butterfly. 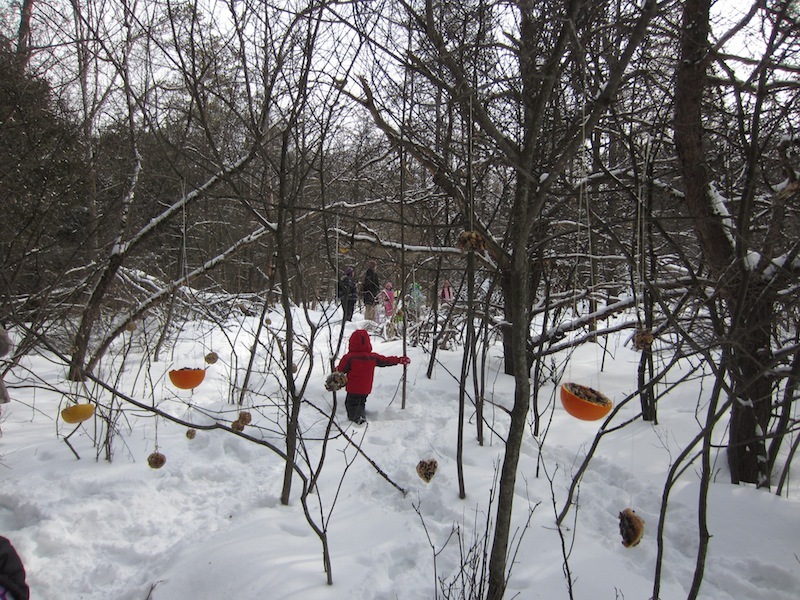 What outdoor activity are you up to this winter with your children?